The panoramic view of Lake Togo spreads away in front of you. The feeling of oneness with the lake and the sense of freedom is exceptional. 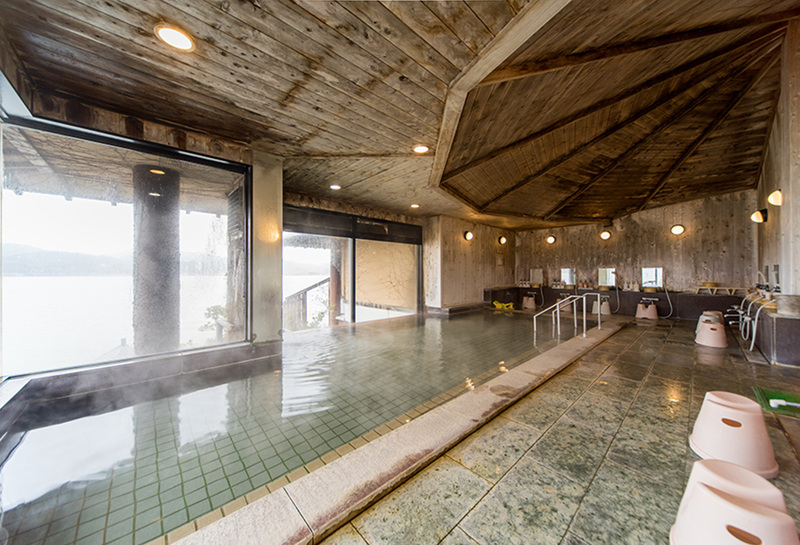 A free-flowing natural hot spring which was named after the founder, Kosuke. 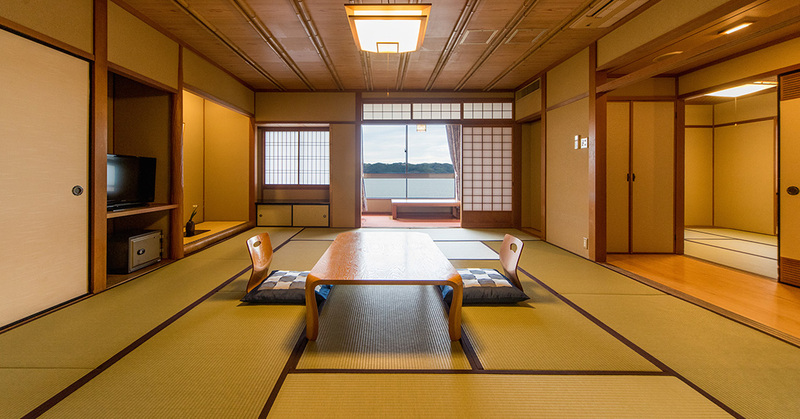 Kosuke of Kami-Asozu, who was casting a net to catch fish on Lake Togo on April 10, 1866, discovered a hot spring gushing up from within the lake. Kosuke thought a lot about how to use this water. 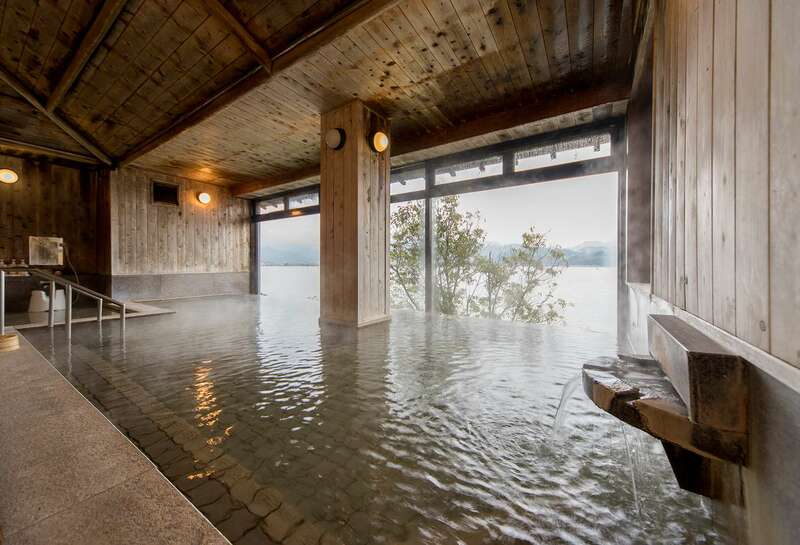 In the end, he drove pine piles around where the hot water gushed out, made a stall by placing two tent boats in parallel, made a hot spring bath by pumping the hot water into the boats using a bamboo cylinder and named it "Kosuke-yu". 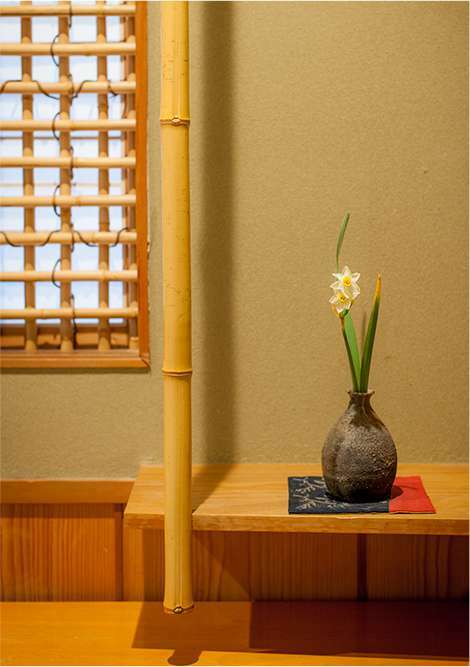 The original Kosuke-yu is now located in the small hut located on the lakeside to the east side of the inn, and is currently used as a spring source for private businesses. 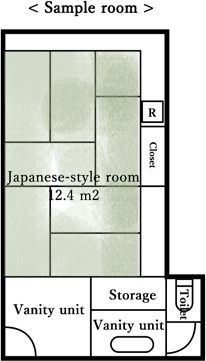 In addition, Kosuke was the first owner of Sennentei (Nisshinkan). 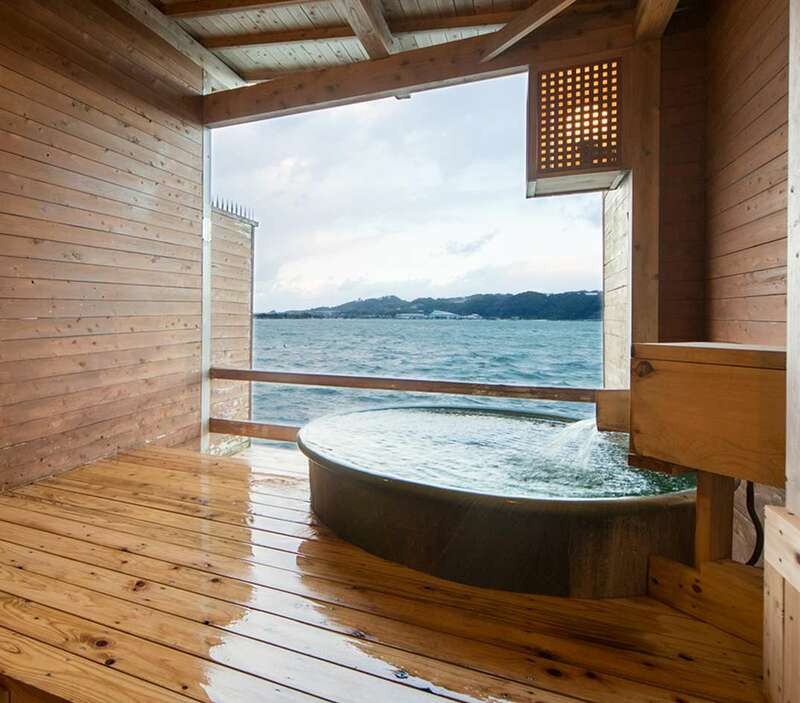 Soak in the abundance of hot water and enjoy the views of Lake Togo. 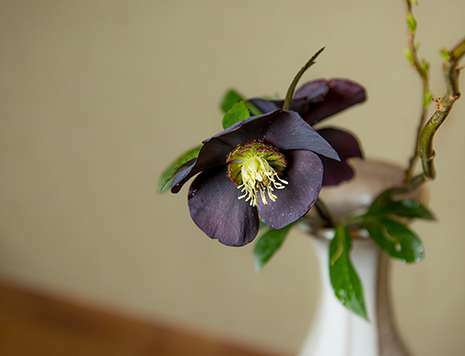 Experience our signature dishes prepared with passion by our highly professional chef who is very particular about using fresh local ingredients. 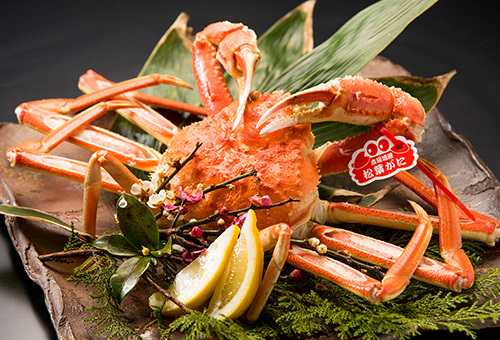 Male Chionoecetes landed on the Japan Sea side of Sanin are called snow crabs. 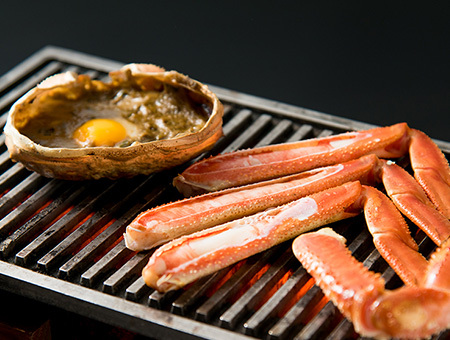 The crabs are delicious no matter how they are cooked, whether raw, boiled, grilled, or simmered. 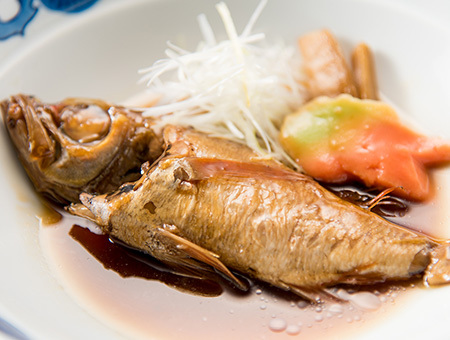 The best season for swordtip squid in Tottori is summer. 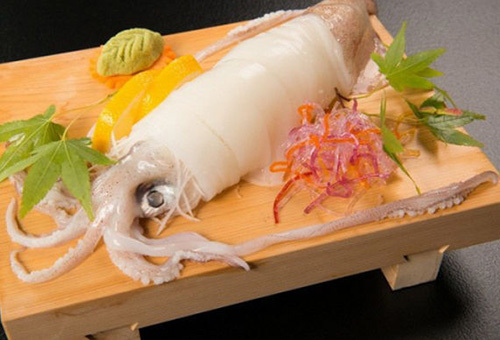 To best enjoy the sweetness and texture of the beautiful transparent swordtip squid, we recommended having them as sashimi. 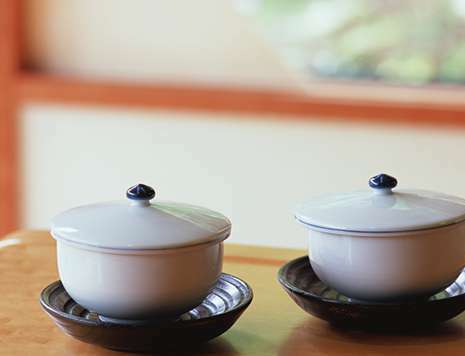 What is Tottori Beef Oleic Acid 55? 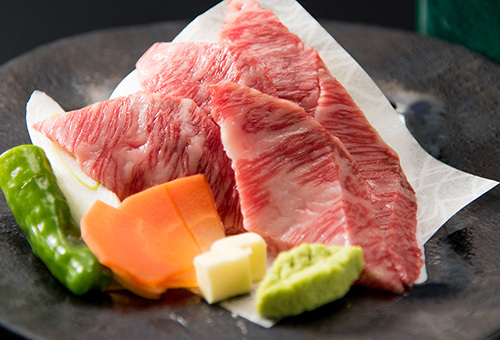 As a wagyu breeding region, Tottori has been successful in keeping good breeds of cattle. With a focus on mellowness and quality fat, beef must clear the criteria of containing more than 55% of oleic acid in its body fat to qualify for this new brand. Tottori beef accounts for 0.7% of the total shipped nationally, and of this,15% are certified. This means that only about 350 of these very rare certified beef cattle are sold annually. 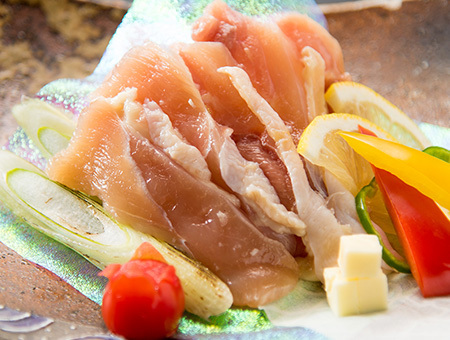 Relish the mellow and soft flavor of Tottori Beef Oleic Acid 55 that melts in your mouth. 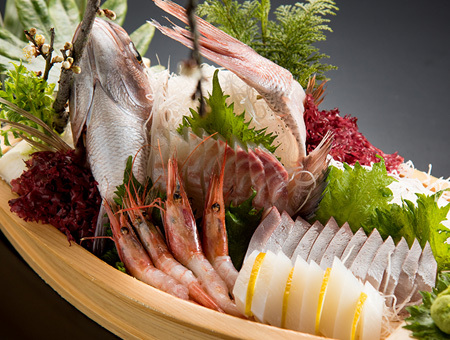 One of the autumn specialties of Tottori, with beautiful greenish yellow colored skin. When you take a bite, the sweetness of fresh juice fills your mouth. 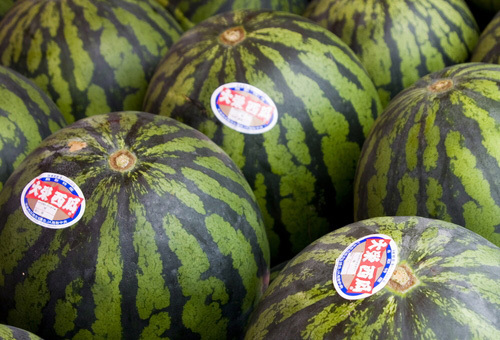 Watermelons produced in Tottori Prefecture are cultivated mainly in the central part of the prefecture in places such as Hokuei-cho. 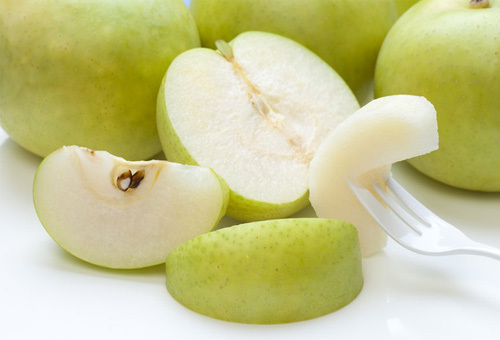 The watermelons have high sugar content and are popular as an early summer delight. 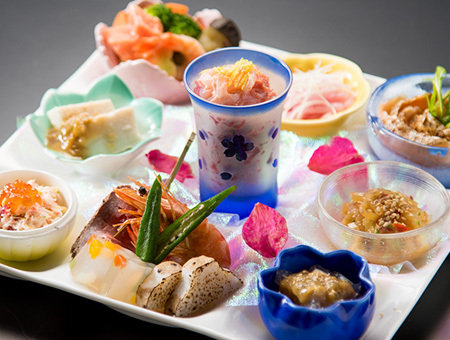 Breakfast is served buffet style at the Pastel Lounge Hana overlooking the lake. 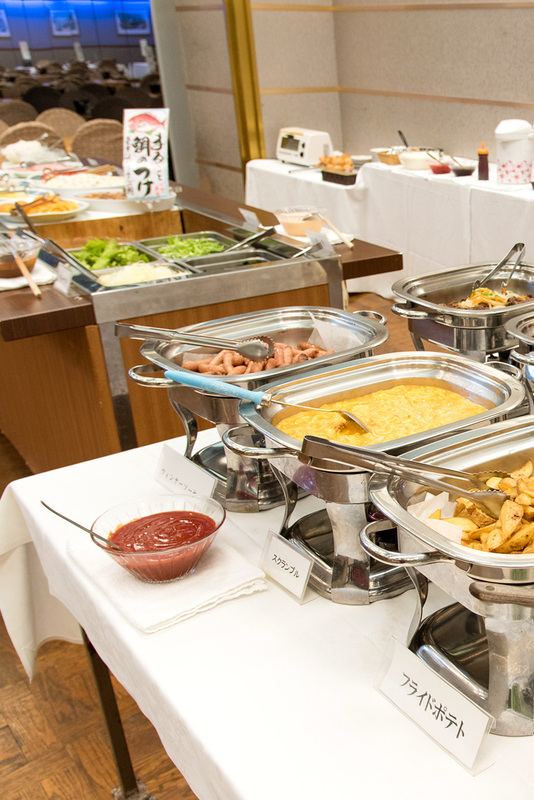 The buffet dishes use an abundance of local ingredients. 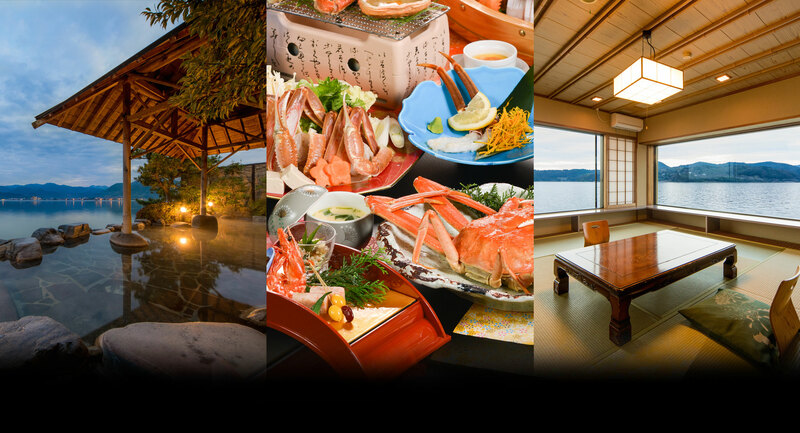 Seafood landed at the local port and dried overnight; simmered dishes with gentle flavors; a tasteful Tottori specialty "yam kamaboko"; a must-have dish with a bowl of rice; "marinated whole sea bream", and many other popular Western dishes: Just some of what is on offer. 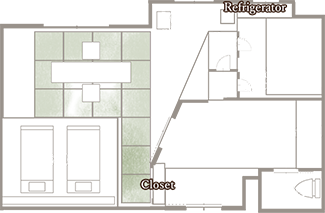 * The menu is subject to change depending on the season and availability of the ingredients. 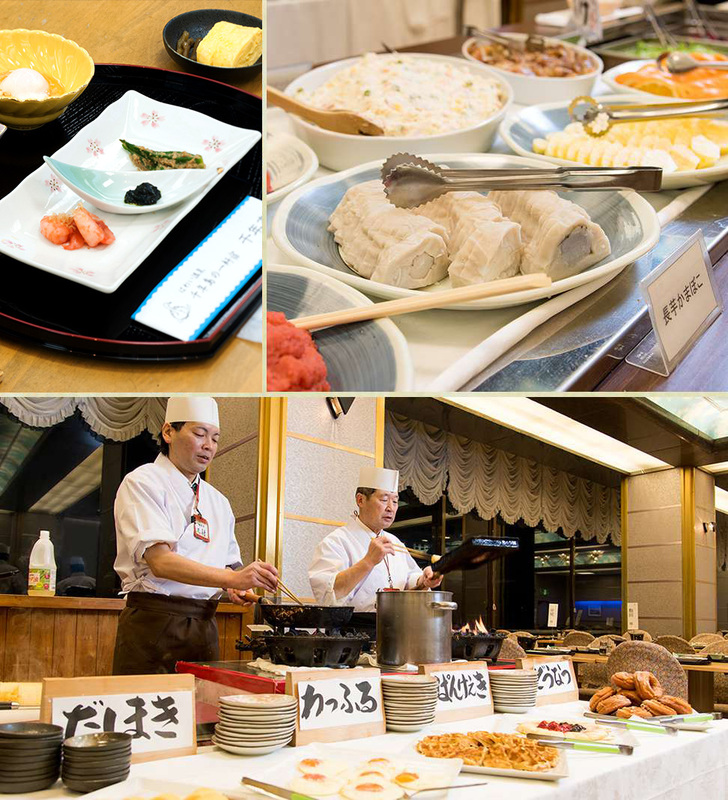 The Japanese-style rolled omelets cooked right in front of you are hugely popular! 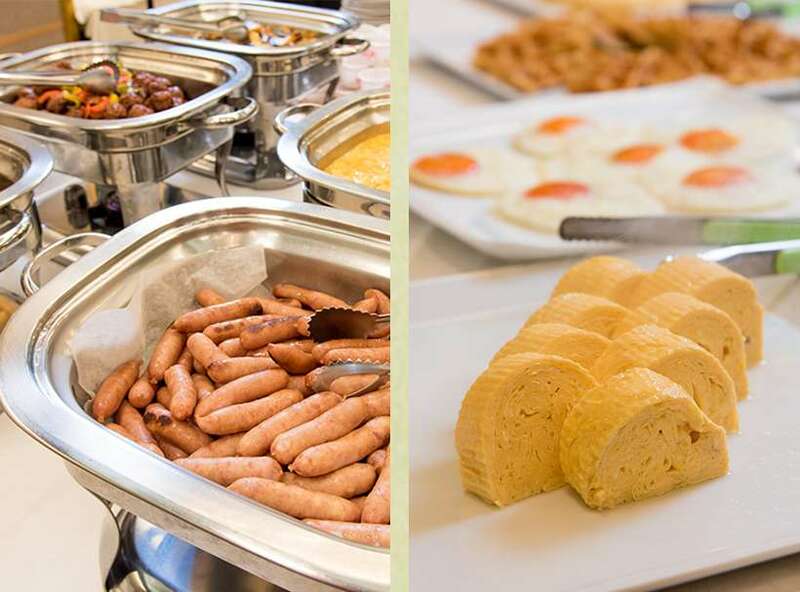 Enjoy freshly prepared hot dishes at the live cooking station. 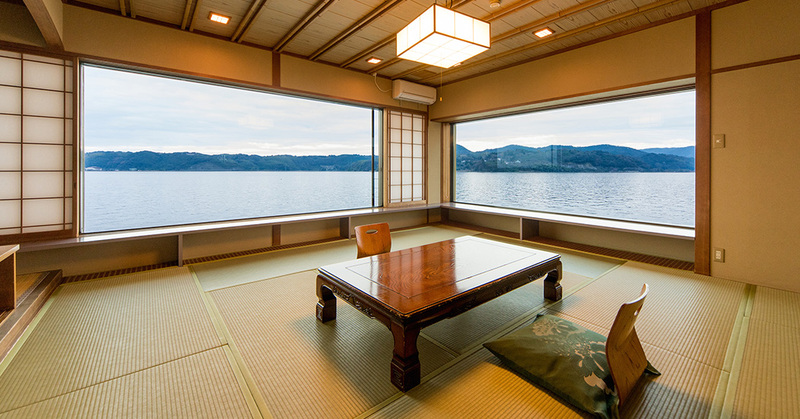 Rooms in different tastes,and a panoramic view of Lake Togo. 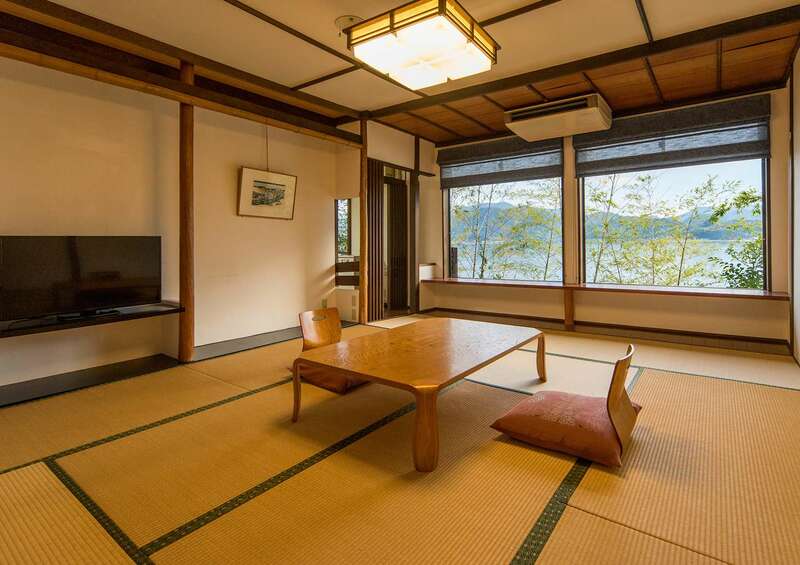 Spend a relaxing holiday in a roomfilled with a nostalgic Japanese atmosphere. With the warm and cozy atmosphere it creates, walnut is very popular as furniture material. 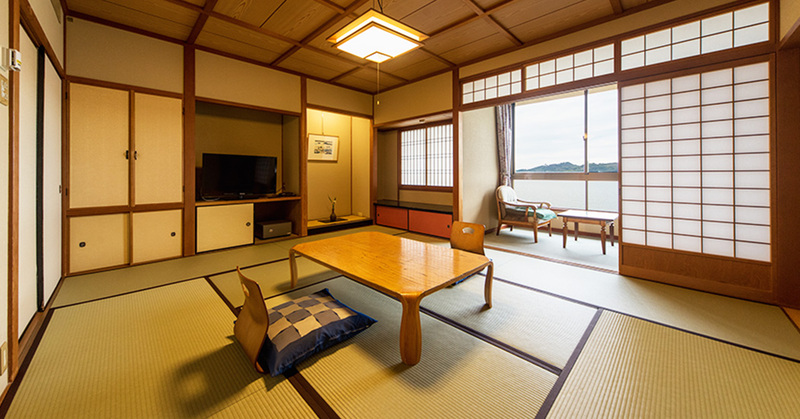 The wood material is used in the joinery and the low table next to the bed. 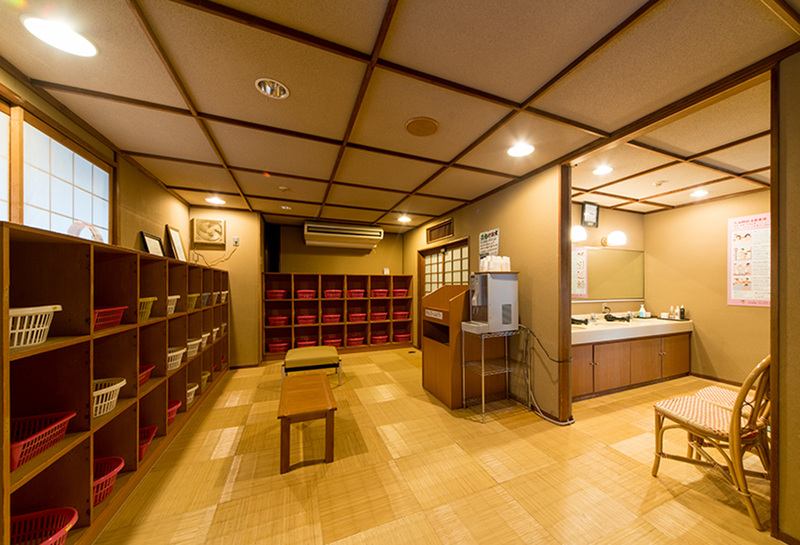 To make your trip to Tottori travel that bit more impressive, the room employs a range of Tottori Prefecture-produced materials alongside the Japanese zelkova for the washstand. 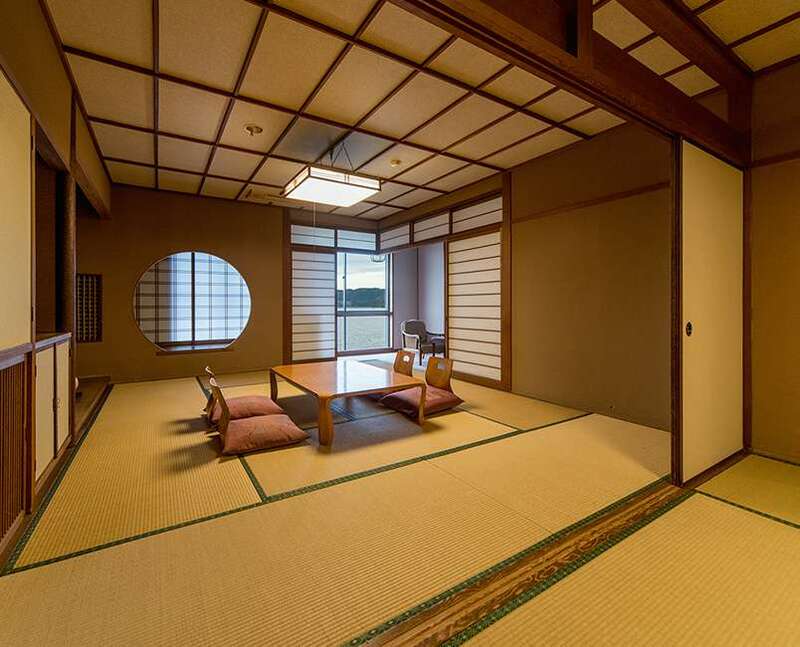 The room is named 'KAKO' because of the Kanoko patterned (fawn spots) wood used within it. 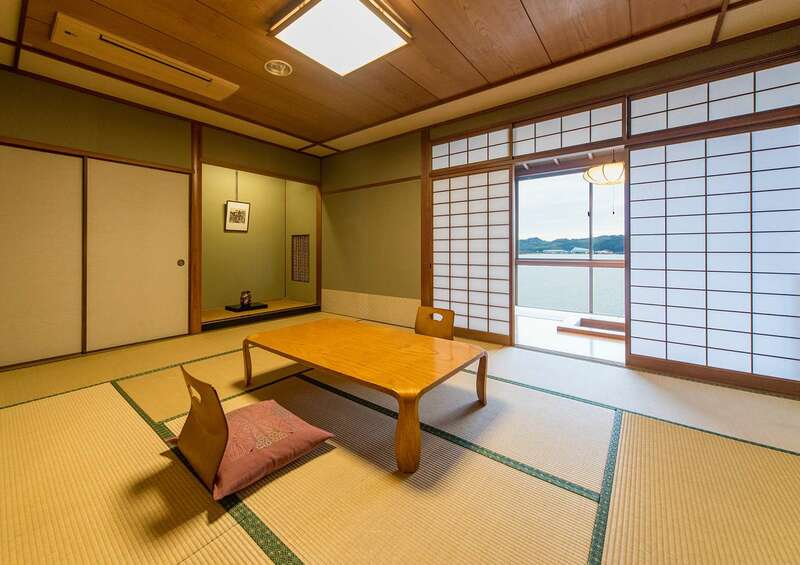 The grain of kagonoki wood is like the surface of water. 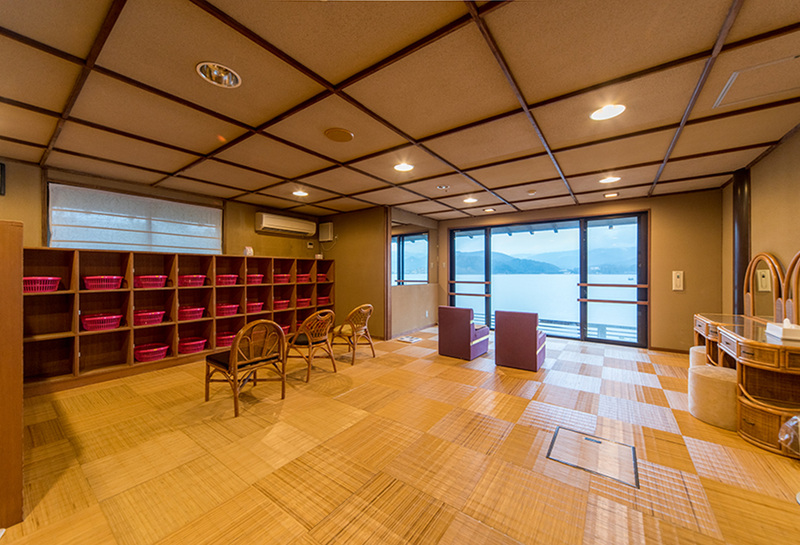 The material is also used in the interior of the Twilight Express Mizukaze, and as a backing for string instruments. 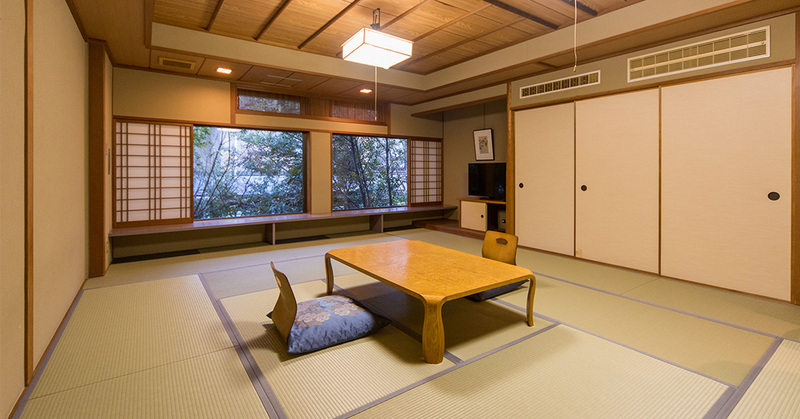 With the kagonoki wood used in the washstand and the Japanese cedar in the TV stand, KAKO employs a range of Tottori Prefecture-produced materials. 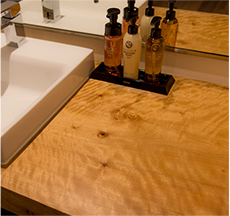 Feel the power of nature in the low table which features the lumps of the Chinese quince wood, and the dramatic leaping force of the Japanese zelkova used in the washstand. 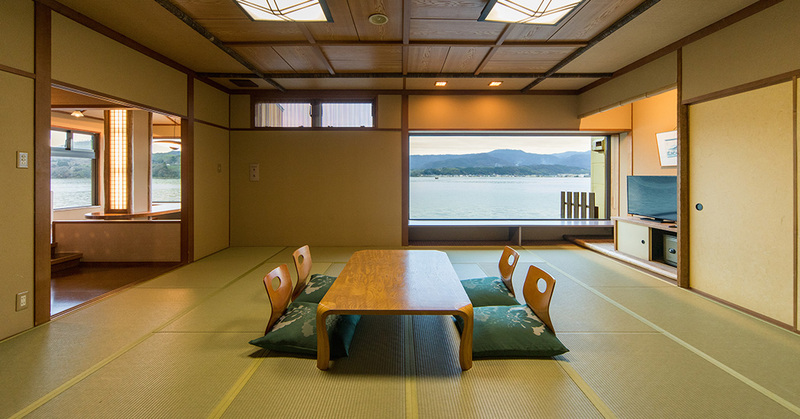 The room employs a range of Tottori Prefecture-produced materials, alongside the Japanese cedar in the TV stand. 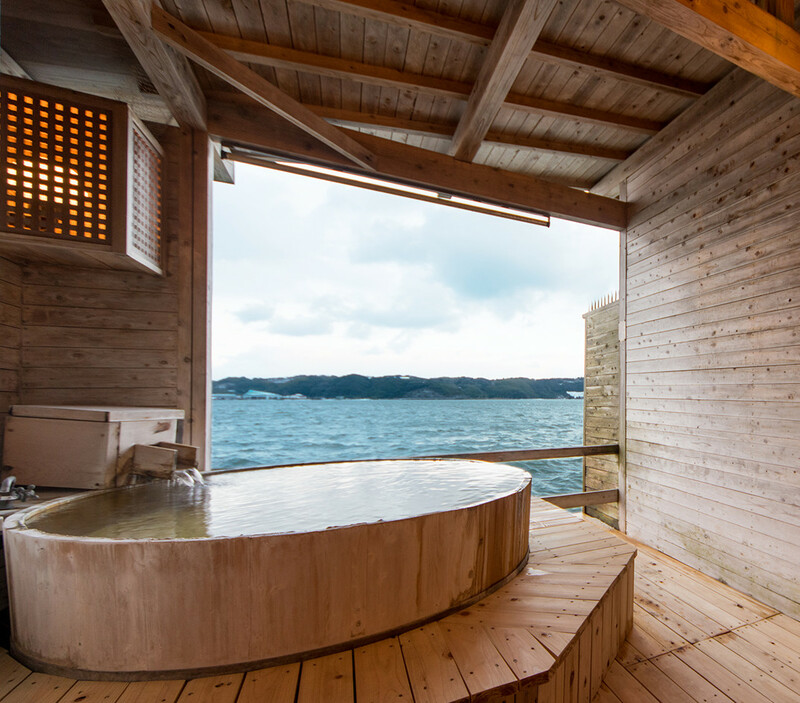 A spacious 8 square-meter bath room with a big window from which you can enjoy the scenery of Lake Togo. 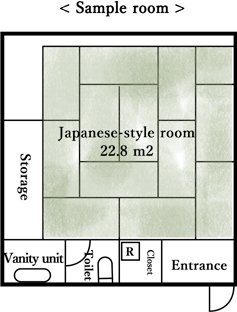 Families can get into the spacious 225cm by 120cm bathtub together and relax. 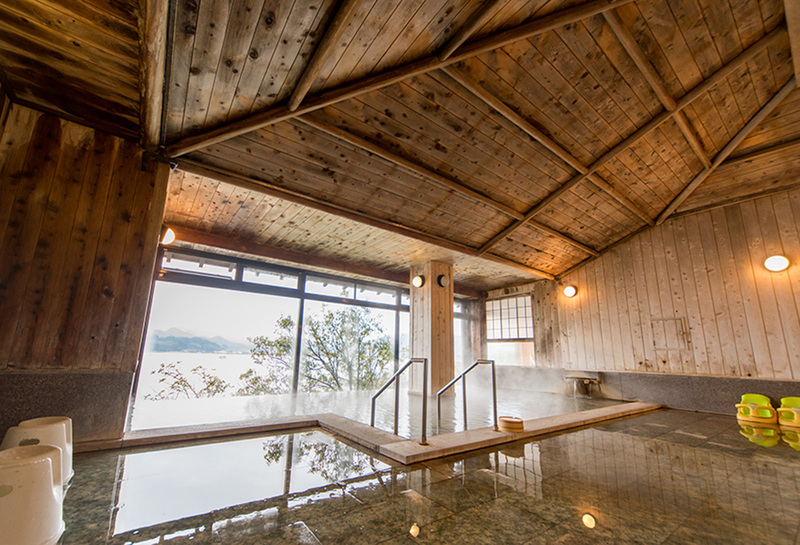 The bath water is free-flowing hot spring water. 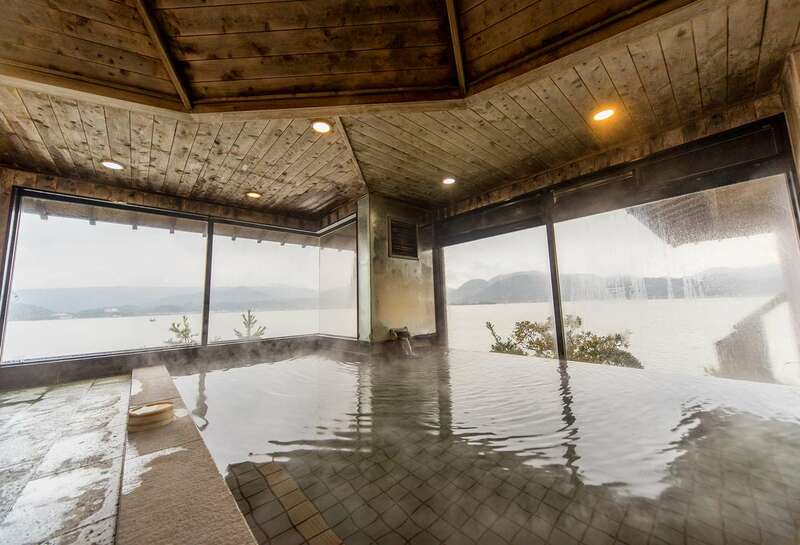 You can enjoy the bath anytime during your stay. 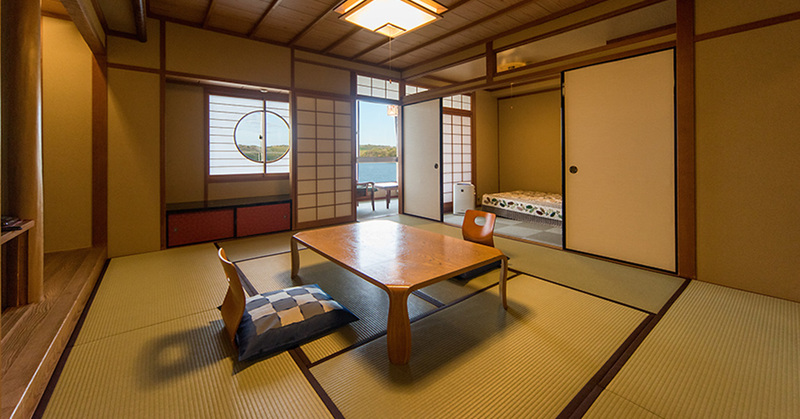 Japanese-style rooms with good panoramic views of Lake Togo, located between the third and fifth floors. 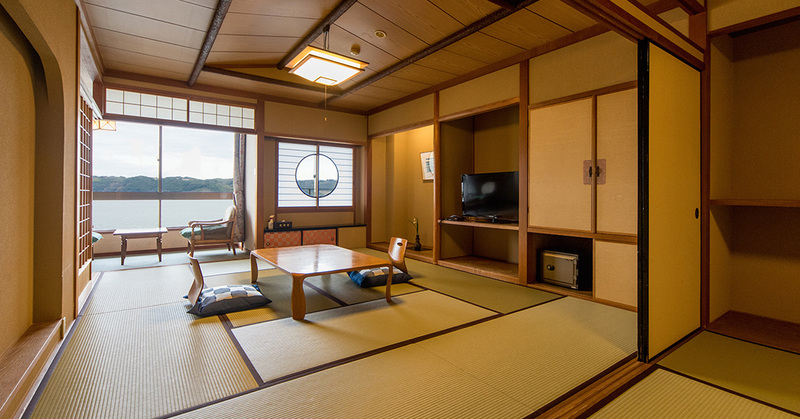 All rooms are en-suite with baths (not hot spring water), and there are some interconnecting rooms where two families can stay. 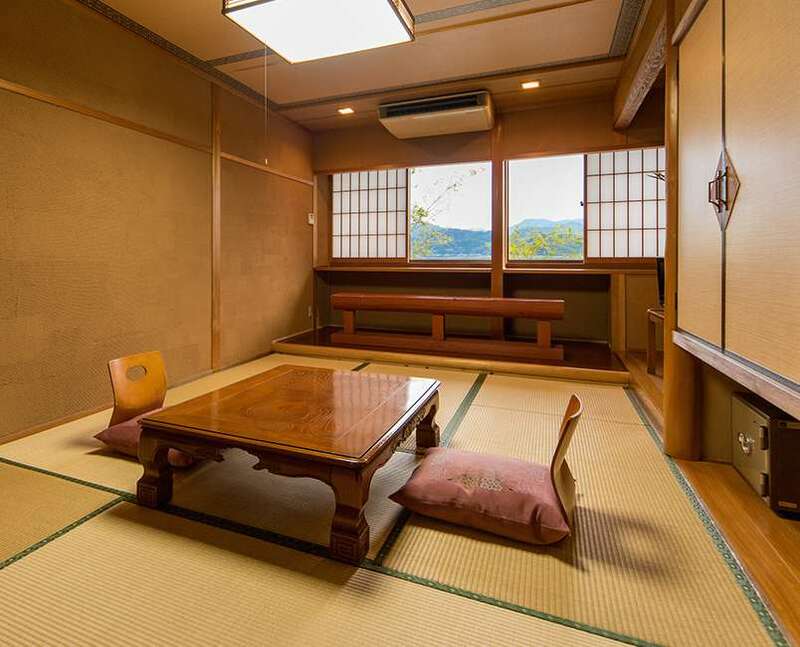 They are recommended for group guests and families. 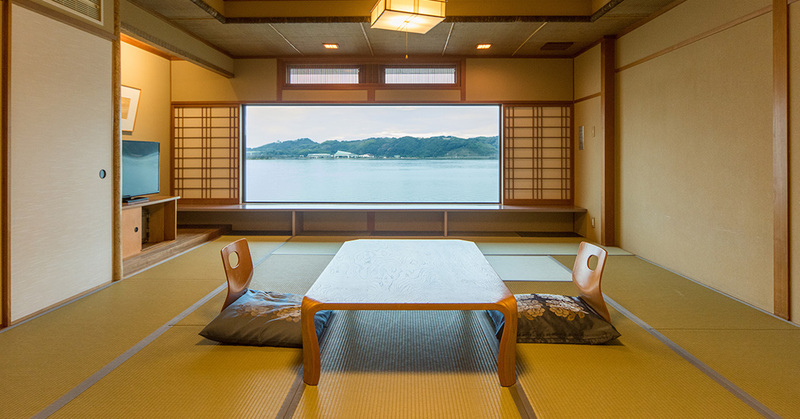 Japanese-style rooms located on the lower floors (first and second floors), which have the closest view of the entire lake from their large windows. They are recommended for couples. 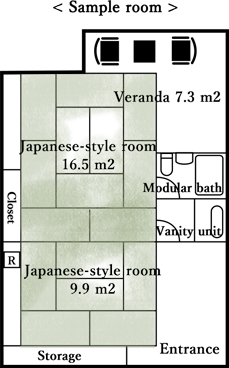 The courtyard-facing rooms are of ample size, but because they do not have lake views, they are the most affordable room types. 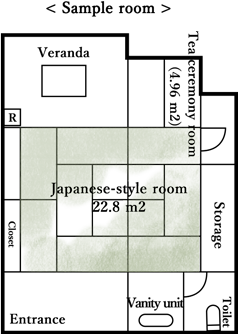 Japanese-style rooms located on the lower floors (first and second floors), which used to be used as VIP rooms and have a relaxing atmosphere.